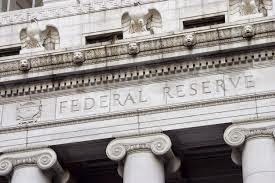 Economic data releases for the US disappointed including employment report falling below 100 K and retail sales dropping by -0 1.4% in March. Nonetheless the equity indices managed to hold onto the weekly gains while the US 10 Year Notes finished the week flat. In the commodity markets, Natural Gas (RQ Rank +4) and Grains outperformed while Crude Oil (RQ Rank -4) and the Metals sold-off. On the last day of trade Gold and Silver had spectacular downward price action with Gold (RQ Rank -4) falling to the lowest level since 2011, after news of potential gold sales by Cyprus. In the week ahead industrial production and manufacturing reports will be released, consumer prices are also scheduled and if producer prices are any indication for CPI, the risk should be to the downside. The impact on the currency markets may not be apparent, therefore our focus will remain on the risk assets. 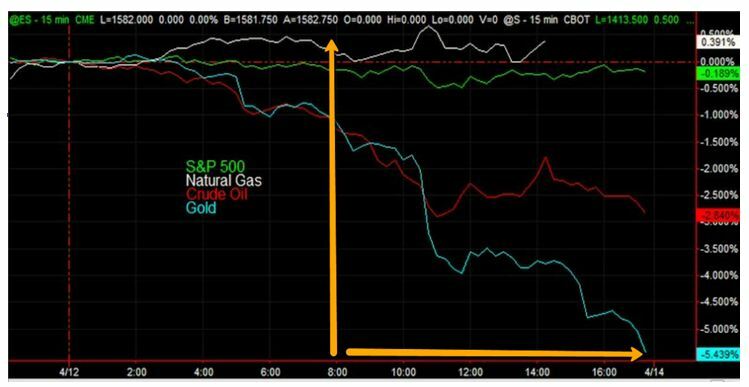 As you can see from the illustrations below, the RQ Cross Box alerted ahead of time with a bearish quant ranking for Crude Oil & Gold and a bullish quant ranking for Natural Gas. For the Rios Quant traders the RQ Cross Box is the first starting point in forecasting directional price action and trading opportunities. The RQ Cross Box was developed to provide us answers to what’s really going on in the markets. The RQ Cross Box Basics – The Rios Quant traders use it as a forecasting tool to help them identify day-trading opportunities. As you can see in the illustration above, Crude Oil was identified as a sell short candidate while Natural Gas was a buy long candidate. In the illustration below, Gold was identified as a sell short candidate. 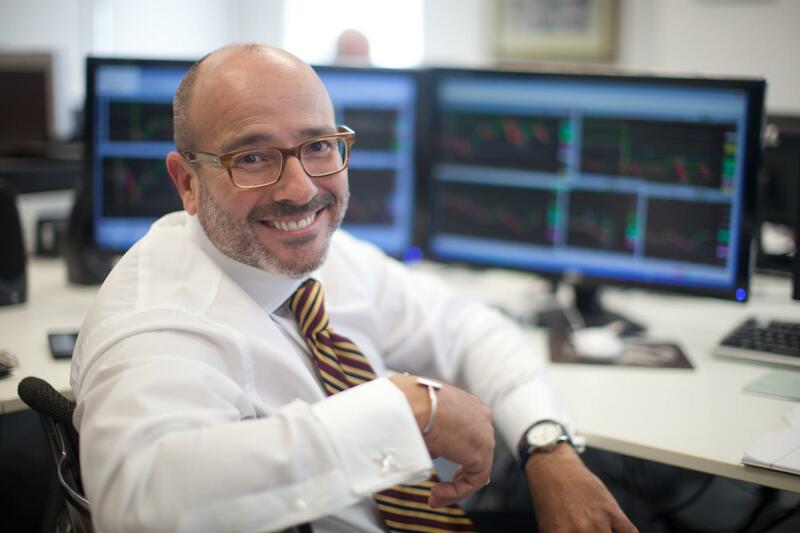 The second step for the Rios Quant traders is to assess the markets in a shorter time frame covering the trading activities during the overnight trading sessions. 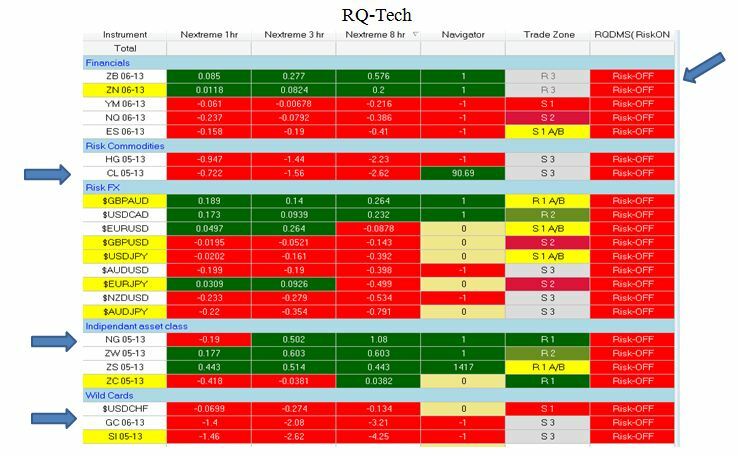 The RQ-Tech analyzer provides several different metrics including a dynamic market sentiment indicator designed to uncover the current trading environment including risk-on, risk-off trading conditions. Another important design of the analyzer is the Nextreme, a dynamic velocity indicator. the illustration below is the RQ-Tech’s DMS identifying a risk off trading environment and the Nextreme identifying crude oil and gold as day-trading sell-short opportunities. The Nextreme identified Natural Gas as a buy long opportunity. The RQ-Tech was developed to uncover who is in control of various asset classes as well as the major markets including the equities, fixed income, currencies and commodity markets. 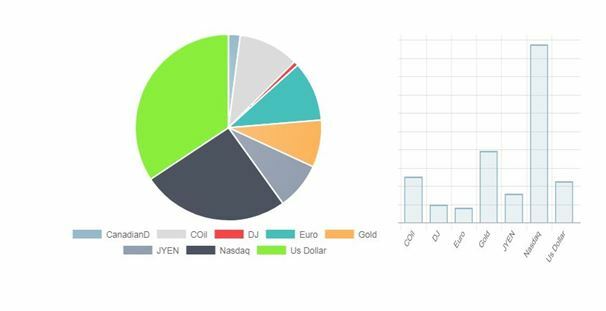 The chart above illustrates relative performance between the asset classes identified by the Nextreme as trading opportunities, compared to the S&P 500, a key benchmark. Take special note how momentum aggressively accelerated after 8:00 AM, the beginning of the US trading session. The third and last step for the Rios Quant trader is the selection of the alpha signal model. The RQ signal models provide pinpoint entries as well as stop loss and profit target exits. 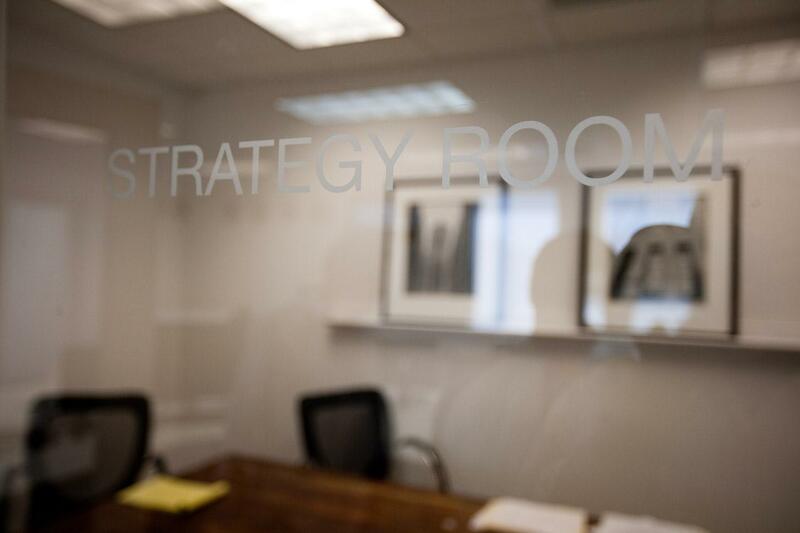 Join us this week in our live trading room, the TradeLAB and see us trade real-time in a live market environment. The trade lab opens at 8:00 AM and closes at 11:00 AM. For a free access pass, send an e-mail request to support@riosquant.com and we will send you the access links for the entire week. 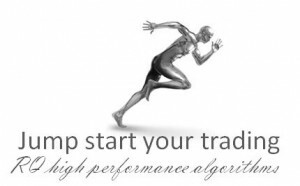 You may also qualify for a free trial to our trading tools including the RQ-Cross Box, RQ-Tech and Einstein automated system.